Today we're parked in Redmond, WA. No need to check your copy of Pacific Northwest Camping Destinations, there are no RV parks in Redmond. If you feel the need to visit Microsoft's headquarters you'll have to park somewhere else. Fortunately we have family here so that's not a problem for us. Unfortunately, they don't work for Microsoft. Since we were in Southeast Arizona when we posted our last blog we thought it might be fun to talk about some of the fun places we visited on the way north and post a few pictures. Things have changed a bit at Monument Valley since our last visit. The Navajos have finished a big new hotel - and taken out their campground. If you want hookups you can still park at Gouldings and drive over to Monument Valley, but there's a fun alternative. 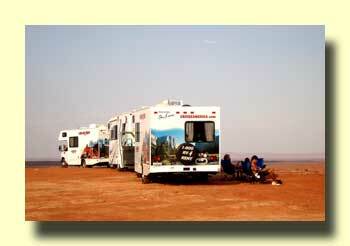 The alternative is a boondocking area run by the Navajos that overlooks Monument Valley. Because we were there during August the camping area was full of Europeans in rental motorhomes. We had a great time telling them about European RVing, most of them had never tried it back home. The only camping ammenities are a few port-a-potties and two picnic tables but the views are fantastic! 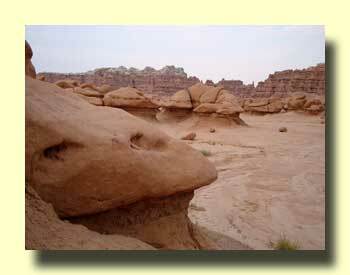 We always love to stop at Utah's Goblin Valley State Park when we travel through Utah. It's a great base for some outstanding side trips. It's also the center of a network of Jeep roads that let you explore some really remote country. 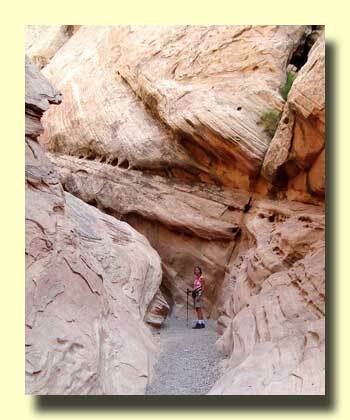 This time we hiked two nearby slot canyons. 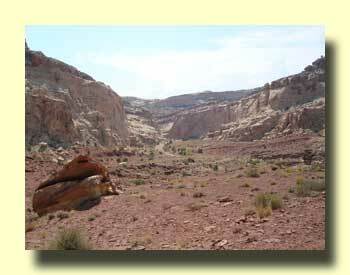 You can climb up through Little Wildhorse Canyon and then come back town through Bell Canyon. The 9 mile round hike isn't too challenging, even on a hot day. 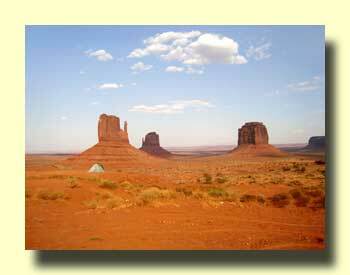 Both Monument Valley and Goblin Valley are covered in our guidebook Southwest Camping Destinations. 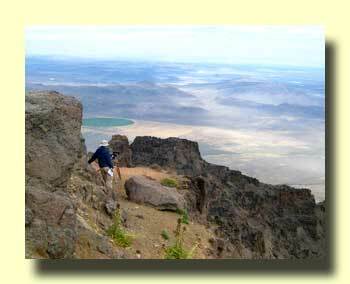 Malheur, in southeast Oregon, is really a spring destination. At least for birders. Still, we had fun and did see quite a few birds. 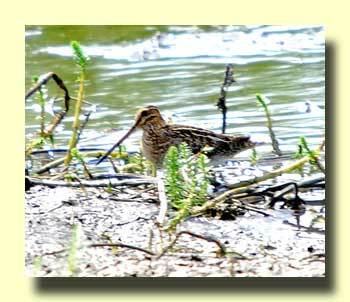 We even added one to our lifelists - a Snipe! We visited in the late summer for a good reason. 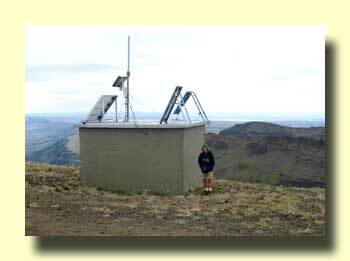 Steen's mountain, a huge fault-block mountain, slopes upward from the wildlife refuge. In the winter and spring the road isn't open, too much snow. From the eastern rim of the mountain you have fantastic views of the land to the east which includes parts of Oregon, Idaho, and Utah. 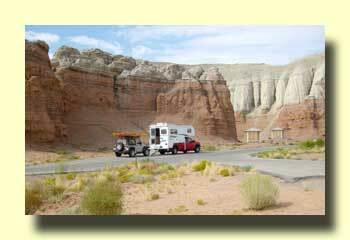 Malheur and Steen's are covered in Pacific Northwest Camping Destinations. UPS tells us that the new Mexico books will arrive from the printer on Tuesday the 15th. We'll turn them around and get them out just as fast as we can. If you want one, give us a call at 206 890-2603. Once the books are out we'll start thinking about the Snowbird RV Show in Abbotsford BC from September 24 to 27. We'll be on stage talking about Mexico and the Southwest three times each day. Waiting for a falcon or eagle to fly by.